Mountain bike hybrid electric e-bike rental in Tuscany in Montaione,San Gimignano, Volterra, San Gimignano and Certaldo. Mountain Bike rental in Tuscany, mtb and e-bike rent in Montaione. Rent one of our mountain bikes to discover the most remote and fascinating Tuscany countryside in Montaione, San Gimignano, Volterra, Certaldo, Castelfiorentino or Montespertoli. Our bikes are Scott MTB or hybrid electric e-bike, ideal for routes both on paved road and on gravel road. In particular, keep in mind that our Mountain Bikes and e-mtb are not suitable for Downhill or for very hard trails. 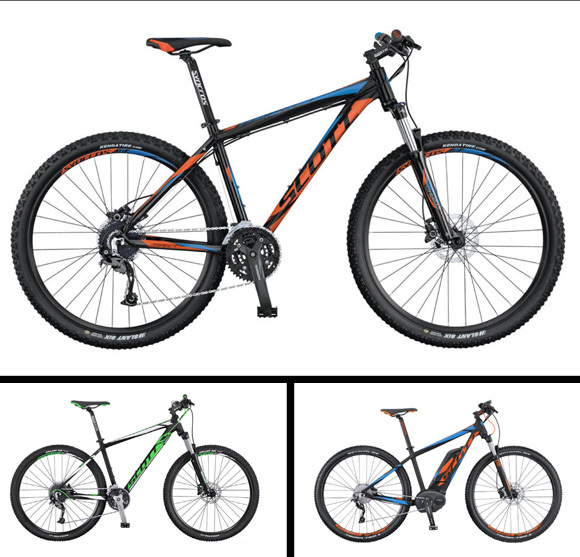 If you have a request for a specific type of MTB, please call us to find a bike to suit your needs. We are a Scott bike rental shop in Tuscany. Experience big wheels and big fun on Scott’s Aspect 940. The light, strong double-butted aluminum frame rides with confidence, while efficient 29-inch wheels deliver a smooth, quick ride on and off the trails. Up front, a 100mm-travel SR Suntour suspension fork tames bumps for added control. 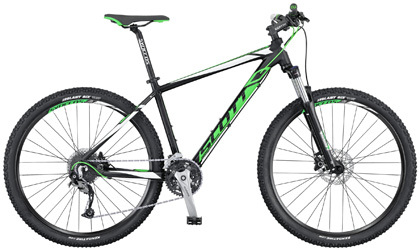 And with features like a hill-topping Shimano 27-speed drivetrain, powerful Shimano hydraulic disc brakes and all-terrain Kenda tires, there practically nowhere you can’t ride. 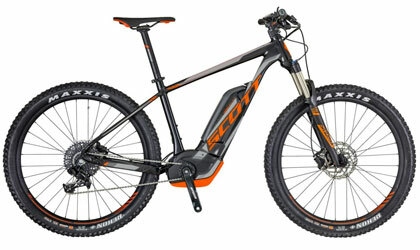 The hybrid electric e-bike SCOTT E-Scale 940 features proven electric assist technology in a comfortable offroad package. Powered by a 500wh Bosch drive system, the E-Scale will provide you with hours of trail riding energy. Available in the 29″ wheel size. 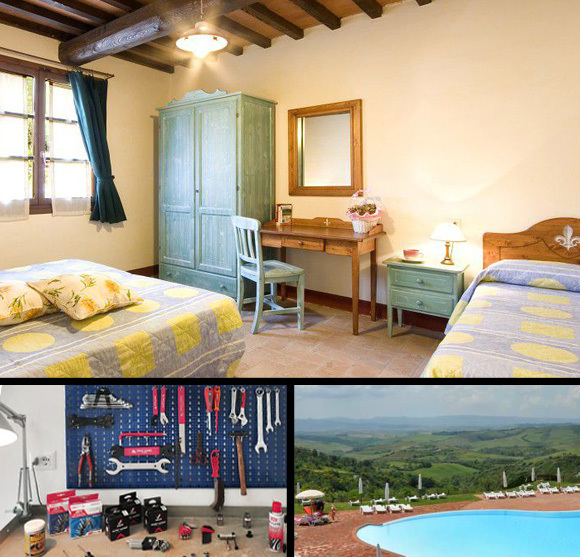 Book a bike rental for your next holiday in Tuscany!